A quitclaim deed transfers a person’s interest in property to another person or entity. The party giving the property away makes no guarantees about the property when using a quitclaim deed. In other words, the property comes “as is.” Under North Carolina law, this means that property may be transferred even though someone else has a lien on the same property. Whatever the person granting the property owes is transferred by the quitclaim deed, regardless of what that ownership actually includes. To have a valid quitclaim deed in North Carolina, the document must be signed by the person granting the property. The document also must be notarized. Chapter 39 of the North Carolina General Statutes includes these two requirements but does not require the deed to be signed by an additional witness. In situations where there is more than one person granting the property, all of the grantors must sign the document for it to be valid. Under North Carolina statutes, a quitclaim deed is valid only if it is filed in the county in which the property is located. Specifically, the deed should be filed with the Register of Deeds in the appropriate county. There typically will be a fee to file the quitclaim deed. In Wake County, North Carolina, as of 2019, the fee is $64 for the first 35 pages of the quitclaim deed and $4 for each additional page. Since most quitclaim deeds are much less than 35 pages, the fee in Wake County typically will be $64. Part of the filing of a quitclaim deed includes adequately describing the property being conveyed. Under North Carolina law, the quitclaim deed must describe the property with enough specificity that a third party would be able to determine to which property the quitclaim deed was referring. The law indicates that a quitclaim deed will not be declared as void if the description is not perfect, but it has to be close enough that a jury can understand it. How do I Give a House Title to Another in Florida? Is a Deed Always Recorded After Transfer? 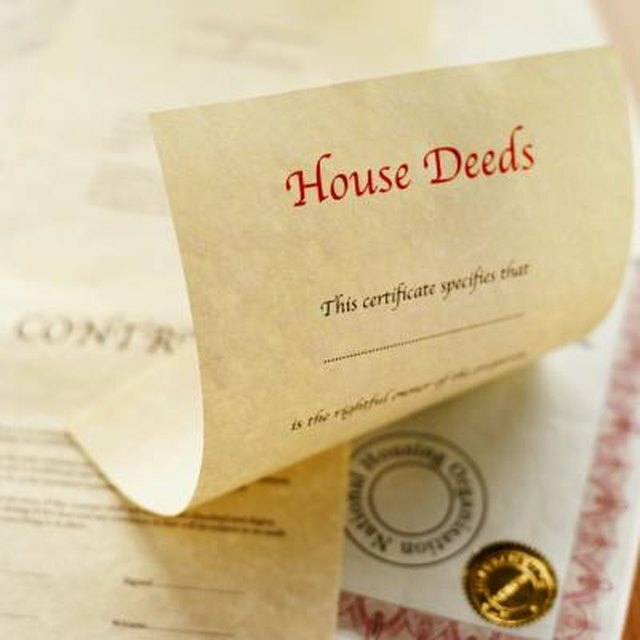 What Is a Quitclaim Deed in Florida? Typically, under North Carolina statute, a quitclaim deed may not be reversed once it is filed with the Register of Deeds in the appropriate county. However, the law does allow for one exception. If the grantor can show that the quitclaim deed was executed under duress, a court may rule it invalid. A person may be considered under duress if the individual was threatened to execute the quitclaim deed or tricked into executing it by another party. Mark Vansetti is a licensed attorney and, along with his Juris Doctor, holds bachelor's degrees in both human biology and economics. Throughout his professional career, he has written on a variety of topics for the American Bar Association Health Law Section, FindLaw and other websites. Vansetti also served as the senior editor of his law school's law review.